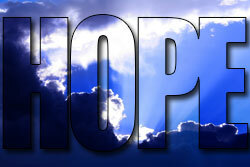 For those who are seeking the best way to share your faith, we give you H.O.P.E.! Dave: For someone getting into Apologetics, what advice would you give them? TRUTHS that you should probably hold onto. them intellectually with gentleness and respect, so don’t hurt their heart. the light. Pray for yourself, and for your friend – EARNESTLY! Jeff: Now, go spread some H.O.P.E. !